I live in the “burbs” of New Orleans. 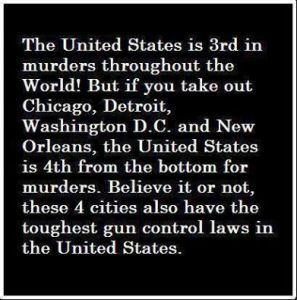 I’m afraid that I will have to disagree that my city has some of the toughest gun control laws. We have it pretty good here in regards to gun ownership and availability of said guns. Do all the private transfers you want. Hell, I bought a AR 5.56 lower from a cop on a Friday night and sold an AK to a reserve police officer in the parking lot of a police substation on a Saturday night without a shred of documentation or a bill of sale. I may not be happy with crime, the heat, the hurricanes and so on but, we have it made when it comes to weapons. Remember, Texas only just recently made open carry legal. It’s legal in Louisiana. You see old dudes in Walmart with iron on their belts. While It’s not “Utopia” were better than most states when it comes to gun rights.